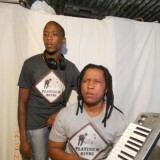 Platinum Mindz producers Bakang Mongale and Ishmael Manana . The Duo has been in existence since 2010 June, practicing music composition, Production and live performances .Our Culture is mainly about retaining jazzy and soulful edge , both suitable for club lifestyle and laid back deep lounge sessions which can accommodate and satisfy everybody’s music desire. Then Recently released 2 Shaft Ep under DNH Records and also collaborated with Yoshi Horino on a project named Marikana Vibez….